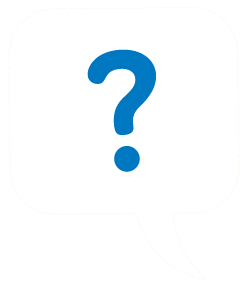 Click on a question to discover answers to some of our most frequently asked questions. Q: Can I use the software before making a decision? Yes! You and your team will have the opportunity to explore our demo software hands on. We will also provide you with a live demo that takes you deeper into our comprehensive software and answers all of your questions. Q: How do I transition from a paper-based system? The process is simple and rewarding! We suggest that you begin creating new appointments in your OrthoMinds schedule. Open electronic files as new patients come in, or existing patients return. Once the file is created your patients may enter their medical history, something they generally find easy to do. Before you know it, all of your patients will be in OrthoMinds and your staff will be happy to no longer pull paper files! The amount of time it takes to transition depends greatly on the size of your practice. Q: Is the software easy to maintain? OrthoMinds is a simple to run, cloud-based software with all the functionality that is expected in a modern orthodontics practice management system. no need to set-up complex computer networks and maintain them. Any computer with a broadband connection is all you need. If your computer dies on you, you can be back to running your practice within the time it takes to unpack another computer and start it. No data will ever be lost. Data goes to a remote server and is backed-up in live time the moment you enter it. Q: What does OrthoMinds software 'online' mean? Unlike the traditional software packages that are installed and operated from your computer, OrthoMinds runs over the Internet. Both data and software are supplied online over the internet. Q: Is managing software online better than from a local computer? Yes. It is less expensive and A LOT easier to run management online. It is also a lot more flexible, and strangely enough it is much more secure. Q: How secure is OrthoMinds system? Data is encrypted with 256-bit encryption whether it is in our data center or in transit over the Internet. This is the same technology most banks use for their transactional websites. All data is securely stored on the Microsoft Azure cloud. Your files are backed up daily. In layman terms - intentional overkill. Q: Is 'cloud' a fancy word for 'app'? OrthoMinds is not an app like you buy on iTunes. We are a Software as a Service (SaaS), which is accessible through your web browser on your iPad, tablet, smart phone or PC. Q: Why does it cost less if it is more advanced and comprehensive? Less overhead for our company and yours...WAY LESS...than with a traditional model. You do not have to purchase any software or any extra hardware to start working. Any iPad, tablet, laptop or PC from the box is ready to run it. The system maintenance, backups and support are free. You can start using OrthoMinds within minutes of subscription to the services. This saves money spent on time and labor. Q: What makes OrthoMinds more flexible? Unlike non cloud platforms, you can run OrthoMinds from anywhere. Office, home, coffee shop or park. All you need is a device and internet. OrthoMinds is also a 'cross platform.' This means we designed the program to work with both Windows (any version including 7, 8, and 10) and Mac OS X (any version from 10) and at the same time. Mac lovers can keep their Apples, and Window lovers can hang on to their tablets! Q: Who owns the data if I no longer need the software? The data is owned by you. We are only custodians who securely store it for you, and provide you with secure access to it. When you retire, sell your practice or stop using OrthoMinds for any reason, we will return the data to you.